Sometimes you find a book that's a true "keeper!" 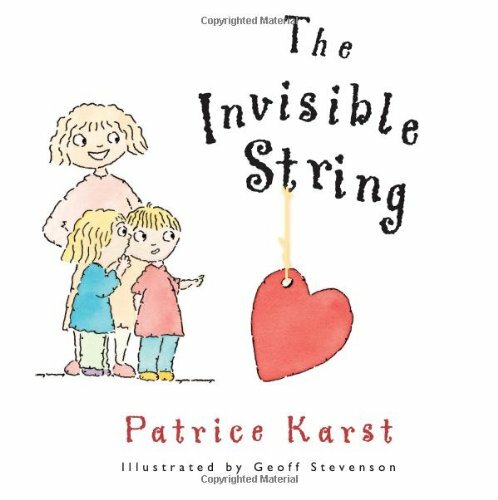 I love The Invisible String by Patrice Karst for its relevance to so many ages and life challenges. I know many families face separation anxiety and grief/loss and would benefit from this metaphor of an invisible string attaching loved ones no matter distance or time. The story is simple enough for very small children, and relatable enough for all ages. I use this in session with clients and families and often incorporate a memorable activity to drive home the message. This book is listed on my Resources page- check it out to see what else I use recommend and use often.